The fall can be a whirlwind of a time. It's one of my favorite seasons for many reasons - my birthday, gorgeous foliage, refreshing cooler air, yummy root veggies, and more - yet, I often feel like it's rushed. For one thing, in New England, snow comes too early, but I need to actively work towards being more grounded and less spacey and overwhelmed in the fall. Hence, why I haven't been posting much on the blog. I've been focusing my efforts on clients, Instagram and Periscope, and taking care of myself. There's a lot going in my life, so something had to give. Self-care is always a priority for me, but through that, I've made space to blog and write again! Getting GROUNDED is perfect for the fall. Transitioning back into a school schedule or getting busier at work can often leave us feeling overwhelmed or anxious. I always imagine feeling grounded as having stable roots if I were a tree. I wouldn't want to have shallow roots, or else the tree would end up flying away in the fall wind. Having stable roots allows me to flow with changes and continue to grow my roots. When I feel grounded, I feel stable in my values, habits, and self-care, even when challenges come at me. Feeling grounded allows me to go through my day staying centered, even if I'm feeling a number of different emotions. It allows me to remember to breathe when things get tough. I'm more able to listen to my body's signals for rest, food, movement, or breath. The connection between my mind, body, and heart is clearer. This clarity is amazing! It doesn't happen all the time, but I can return to this connection easier. It allows me to explore what's really going on if I'm having a bad body image (yes, happens sometimes), eating mindless (yup, that happens too at times), or aren't prioritizing my self-care. I can journal or meditate about it to figure out what's going on. It's like exploring my roots to see if there's a mindset or emotional state that's blocking me. Use it as a mantra to repeat to yourself throughout the day, like "I am grounded." Ground yourself at meals to get present. Place your feet on the floor, and sit up straight rather than slouching over at meals. You'll be able to breathe better and digest better. Get outside & put your barefeet on the ground! If you want to really feel centered and grounded, get your body on the earth to feel earth's grounding energy. You could do some grounding yoga poses like standing poses - Warrior 1 or Warrior 2 are great. Journal about it. Write the word GROUNDED on top of a page, and each day free-write for a few minutes on what that means for you that day. 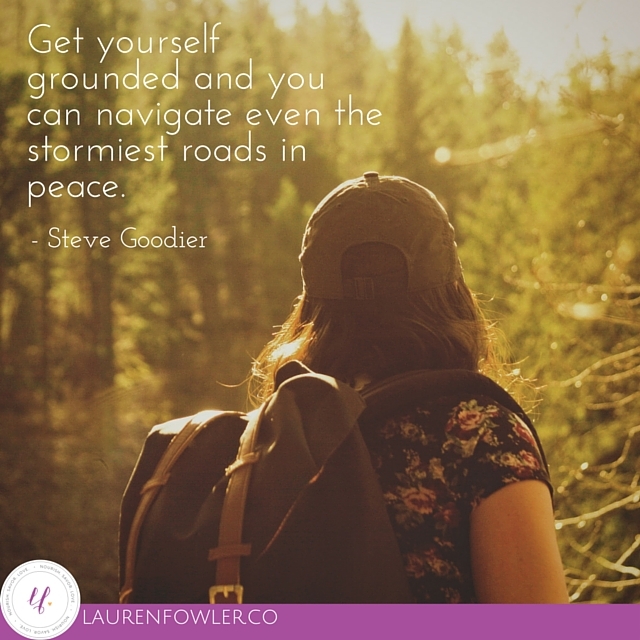 You could explore what feeling grounded would mean in your life - what are your "roots" or values when it comes to food, body image, or self-care? Share on Instagram what feeling grounded means to you in picture form - perhaps a tree pose outside? Do a grounding meditation. Try out this free 10-minute grounding meditation I created for you (below)! 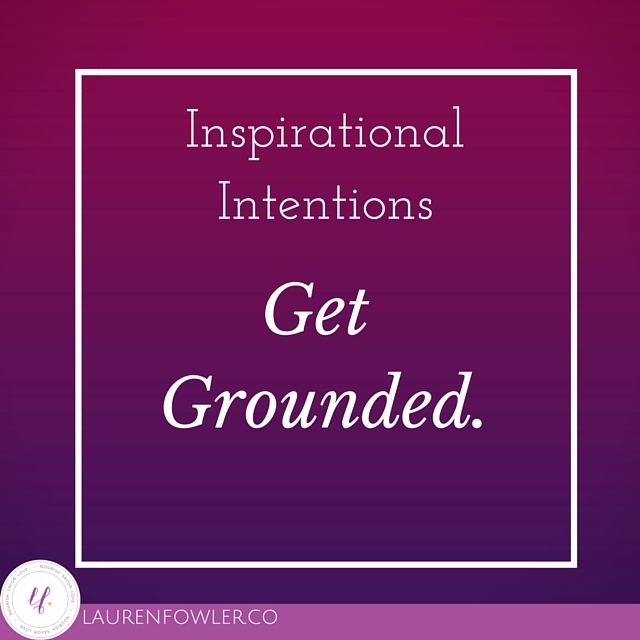 How are you going to use the intention of GROUNDING in your life this week?